I am really trying to stay on track with cooking my meals at home, sorry for all the food blogs. 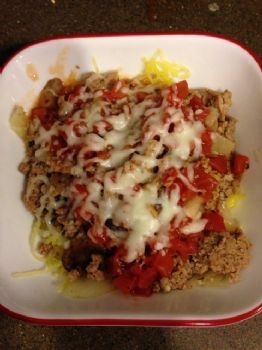 Turkey spaghetti squash with fresh tomato and sprinkled with mozzarella. Thank you. It turned out really good.